This year more than any other year the talk about going to a football bowl games has been discussed in the news and in many bars and Holiday parties. While at the same time universities have been dropping Olympic sports. The reasons given for dropping men’s programs range from Title IX compliance to athletic department cost cutting measures. The staff of RUNOHIO wishes you and your family a Happy and Safe New Year! Hopefully this winter you will be able to continue your running. Send RUNOHIO your votes for the top Ohio runners by January 15th. Your votes will help RUNOHIO pick the 2011 RUNOHIO Runners of the Year so they may be spotlighted in the March/April RUNOHIO. I enjoy watching college football, but are the Football Bowl games worth the cost? Looking for a Holiday gift…. Take advantage of the - Buddy for Buck - RUNOHIO Subscription Special – The regular subscription price is $15. However, sign yourself up for $15 and add a friend for only $1 – Send a check for $16 and the names and addresses for two runners to: RUNOHIO, PO Box 238, Granville, OH 43023 and subscribe to the print RUNOHIO for a year for two runners. Bonus available for male and female marathoner winner at 2012 event - CLEVELAND - (Nov. 29, 2011) - With preparation well underway for the 35th running of the Rite Aid Cleveland Marathon on Sunday, May 20, 2012, the race directors have announced an increased prize structure for winners of its marathon (26.2 mile) and 10K (6.2 mile) events. Kettering, OH, 11-19-11 - The Mid-East Cross Country Championships presents the best high school men & women senior runners from Indiana, Illinois, Michigan, Ohio, and other area states. The event provides an excellent regional forum that supports the athlete and college coaches looking for new talent. It is sponsored by the members of the Greater Dayton Track and Cross Country Officials Association and the Ohio Association of Track and Cross Country Coaches. The race has been held annually since 1987. 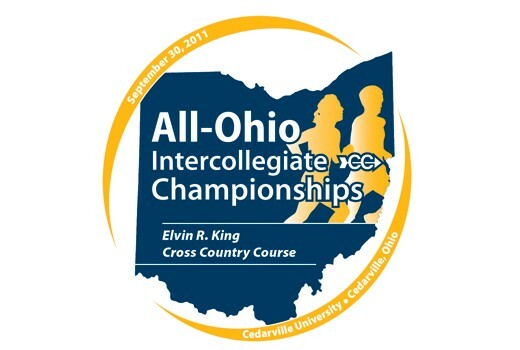 The 57th Annual Men's and the 31st Annual Women's All-Ohio Intercollegiate Championships will be held Friday, September 30th at Cedarville University. Runner return to running after fracturing the top of the tibia in his left shin… Jordan Lucki proved to be a promising competitor for the Watterson High School boys cross country team the previous two seasons. 1. I will run at least one home meet each fall.